Type TVL | TROX Malaysia Sdn Bhd. The VAV terminal unit is fitted with a differential pressure sensor for measuring the volume flow rate. The control components (attachments) include a differential pressure transducer that transforms the differential pressure (effective pressure) in to an electric signal, a controller, and an actuator; the control functions can be achieved with an Easy controller, with a Compact controller, or with individual components. For most applications, the setpoint value comes from a room temperature controller. The controller compares the actual value with the setpoint and alters the control signal of the actuator if here is a difference between the two values. Quick selection tables provide a good overview of the room sound pressure levels that can be expected. Approximate intermediate values can be interpolated. 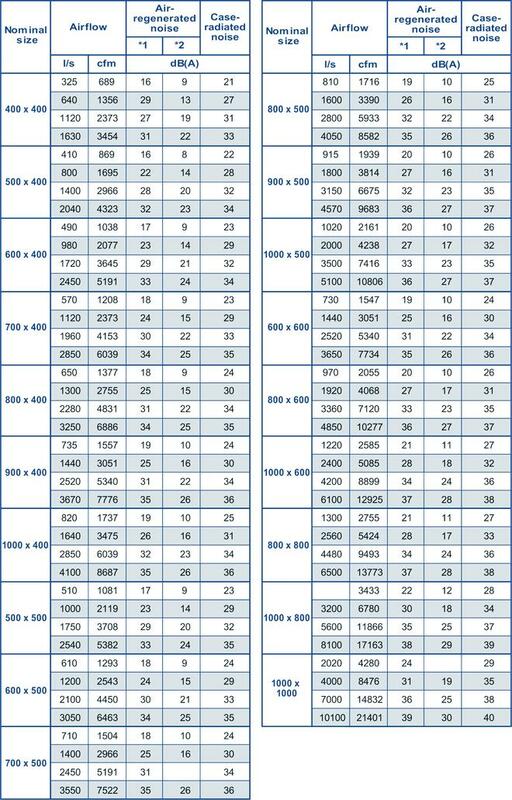 Precise intermediate values please contact TROX Malaysia. The first selection criteria for the nominal size are the actual volume flow rates Vmin and Vmax. 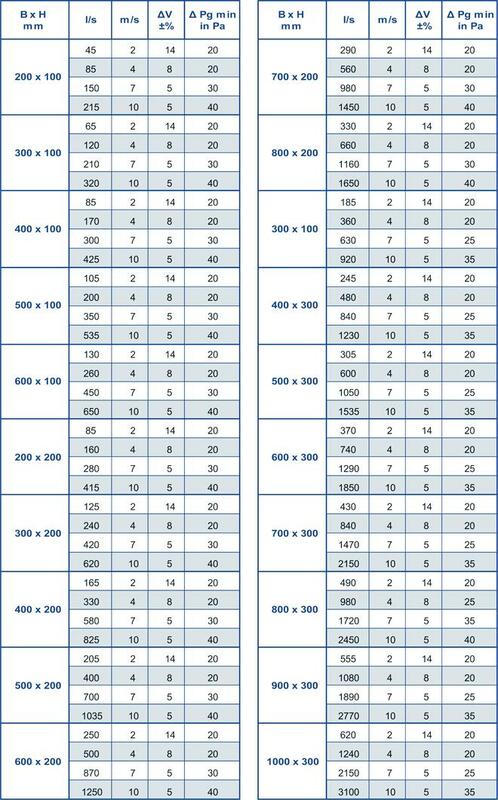 The quick sizing tables are based on normally accepted attenuation levels. If the sound pressure level exceeds the required level, a larger VAV terminal unit and/or a silencer is required. 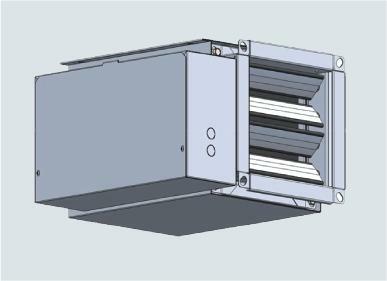 The minimum differential pressure of VAV terminal units is an important factor in designing the duct work and in rating the fan including speed control. 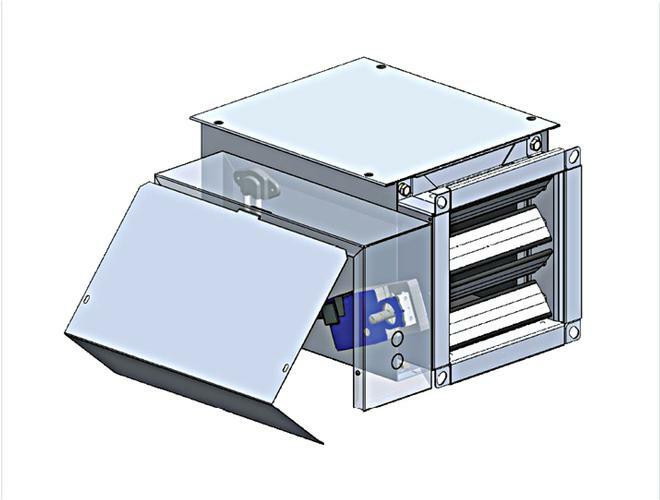 Rectangular VAV terminal units for variable and constant air volume systems, suitable for supply or extract air, available in 30 nominal sizes. high volume flow rate control accuracy. Ready-to-commission unit which consists of the mechanical parts and the electronic control components. 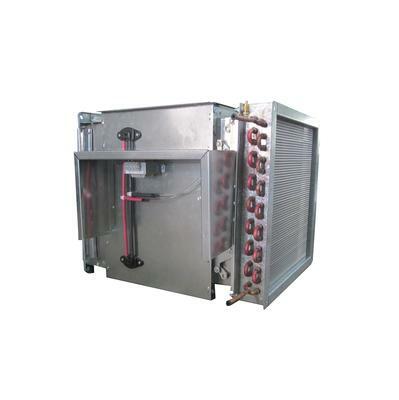 Each unit contains an averaging differential pressure sensor for colume flow rate measurement, a damper blade. Factory assembles control components complete with wiring and tubing. Differential pressure sensor with measuring holes (resistant to duct and pollution), both ends suitable for the connection of ducts. Position of the damper blade indicated externally at shaft extension. Resistant to fungal and bacterial growth. 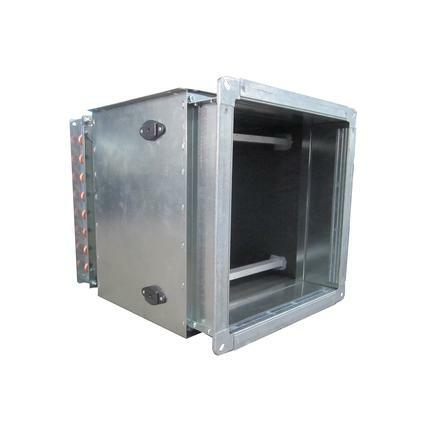 The volume flow rate accuracy Δp applies to a straight upstream section of the duct. Bends, junctions or a narrowing or widening of the duct cause turbulence that may affect measurement. Some installation situations require straight duct sections upstream. A bend - with a straight duct section of at least 2H upstream of the VAV terminal unit - has only a negligible effect on the volume flow rate accuracy. A junction causes strong turbulence. The stated volume flow rate accuracy ΔV can only be achieved with a straight duct section of at least 4H upstream. 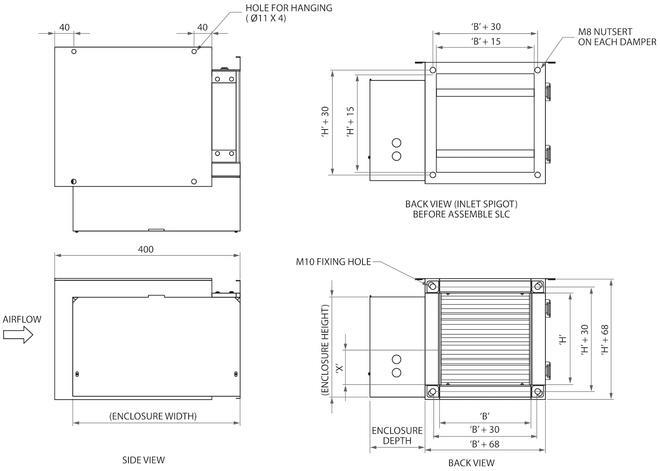 Shorter upstream sections require a perforated plate in the branch and before the VAV terminal unit. 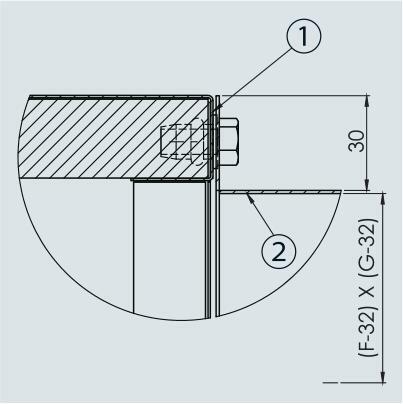 If there is no straight upstream section at all, the control will not be stable, even with a perforated plate.